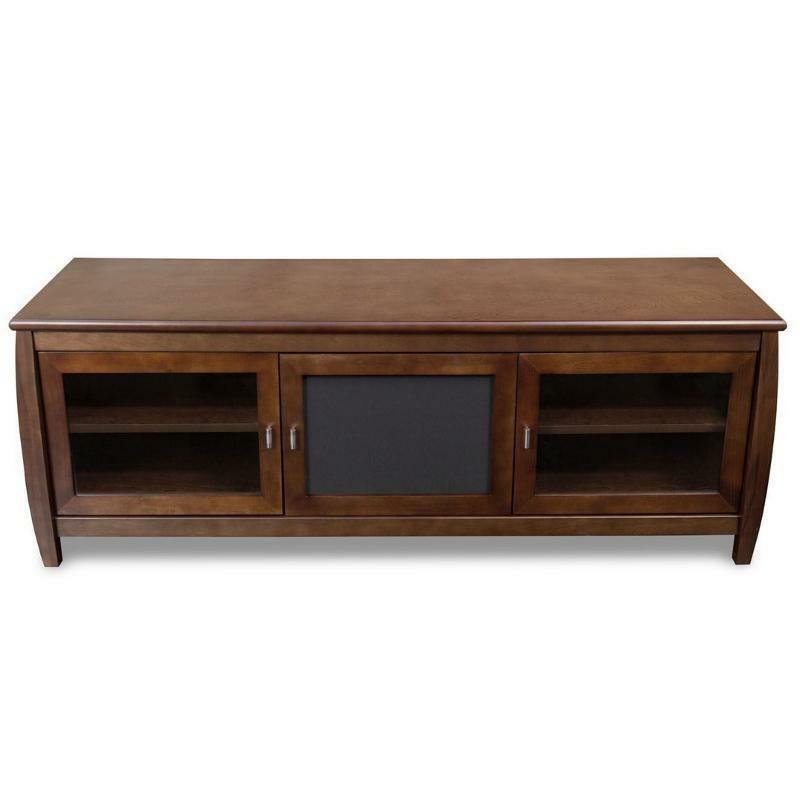 This transitional style TechCraft 60 inch wide Veneto series walnut finish wood TV stand has a European flair that is perfect for any decor. 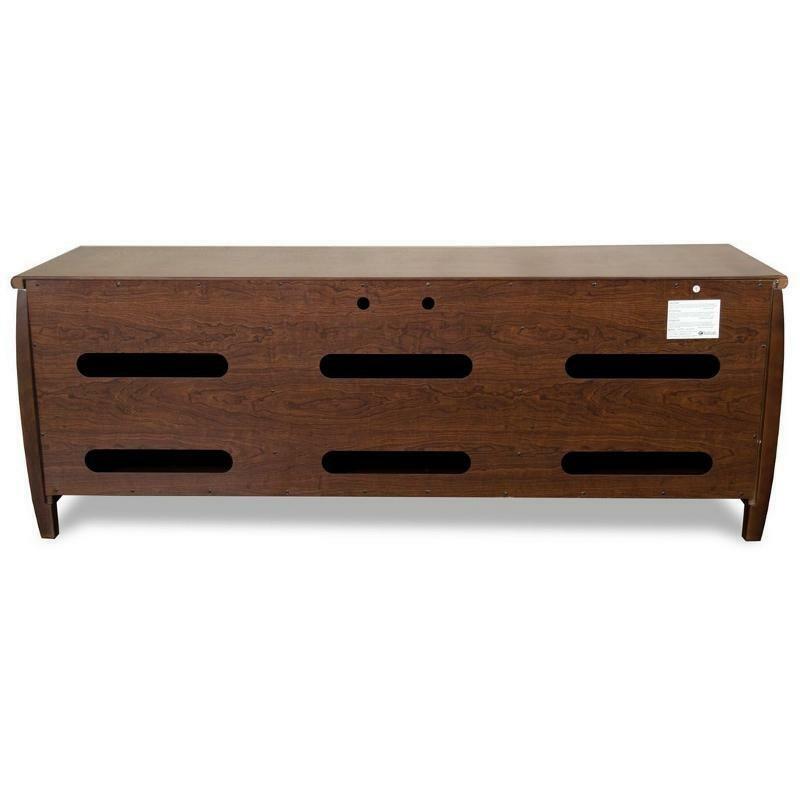 An ideal way to showcase your television and house accompanying components, this Veneto Series TV Stand features a bold bowed cabinet front, an overhang top and sleek metal hardware. 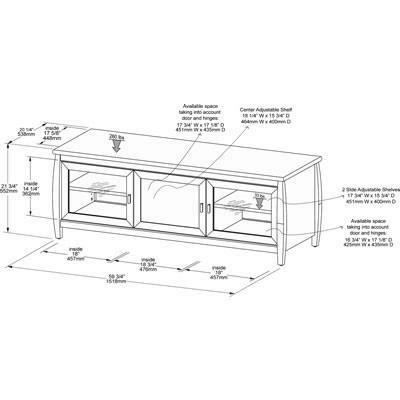 It accommodates most 65-inch and smaller flat panels. Additional Information Classic wood tone will accentuate most decors; Center channel compartment and storage; Classic, elegant, functional.